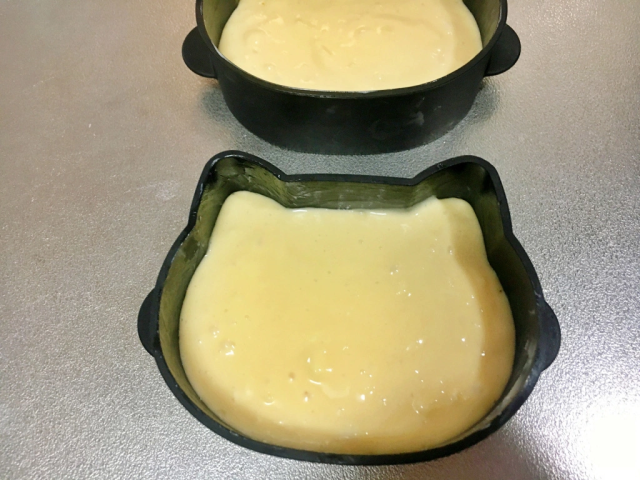 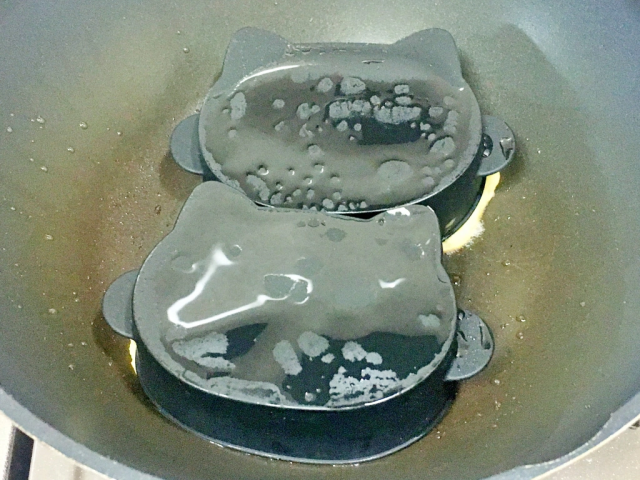 The thin silicon mold has two protrusions on the sides which mark the line you’re supposed to fill the pancake batter up to. 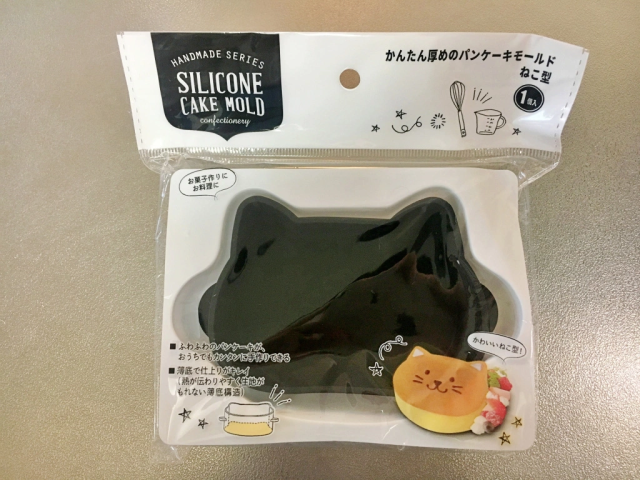 We bought two molds. 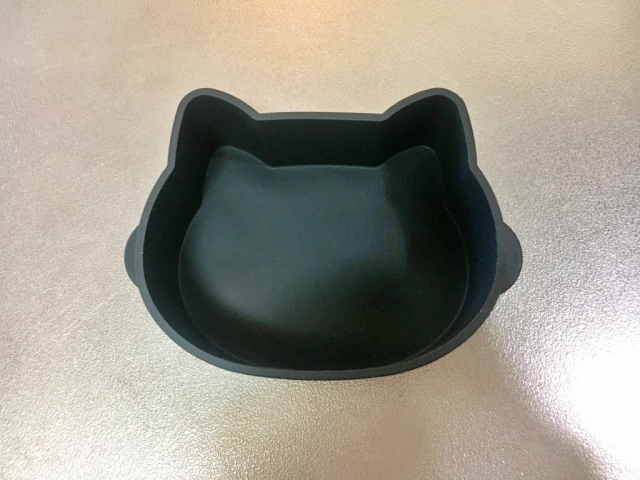 We lifted the lid to sneak a peek and snap some pics half-way through. 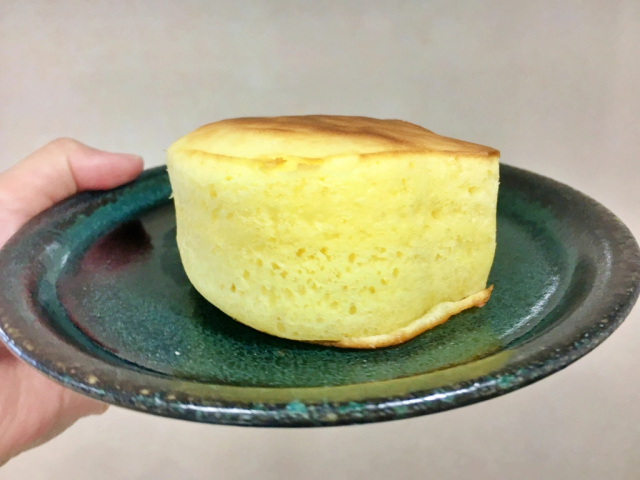 The most popular pancake cafes in Japan make theirs extra-thick, and Can Do’s mold, as promised, does so too. 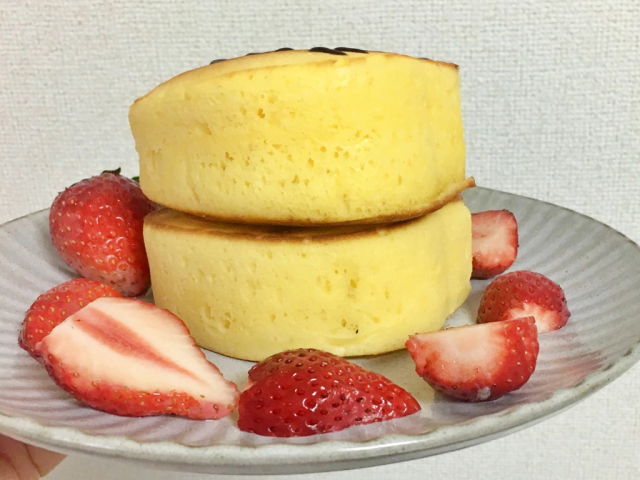 Eyeballing it, we’d say the pancakes come out about four centimeters in height. 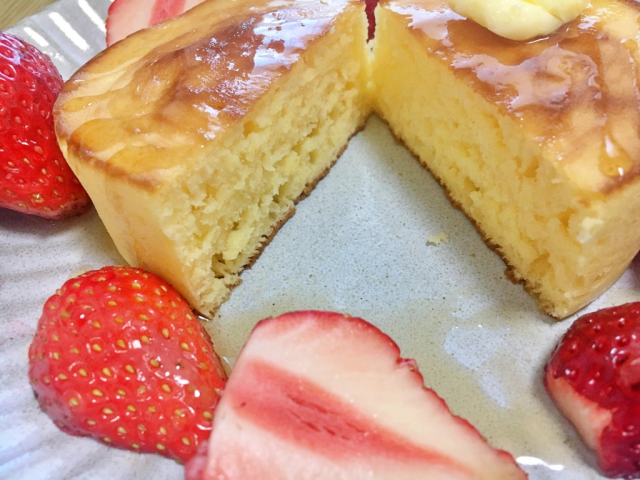 Then we sliced up some strawberries from Tochigi Prefecture to really make it feel like we were in a fancy Harajuku cafe. 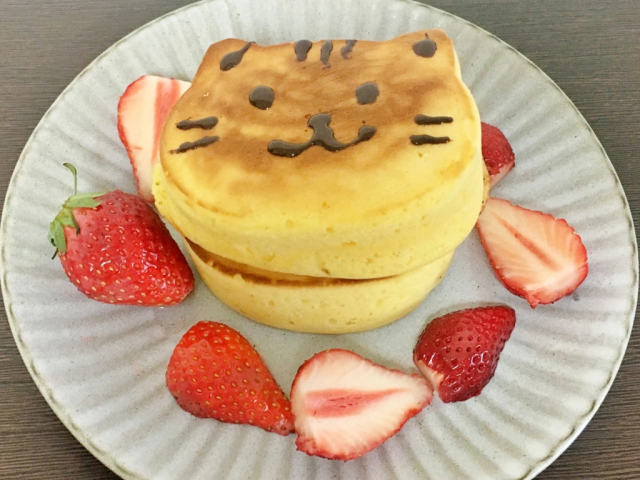 -- Food art so cool you don’t want to eat it, but mmm…pancakes!!! 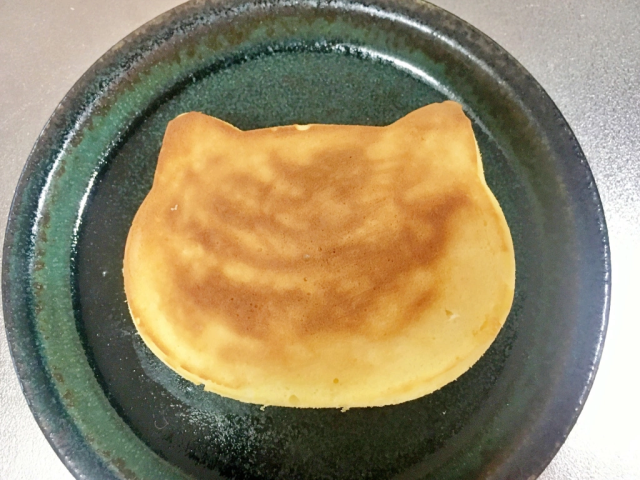 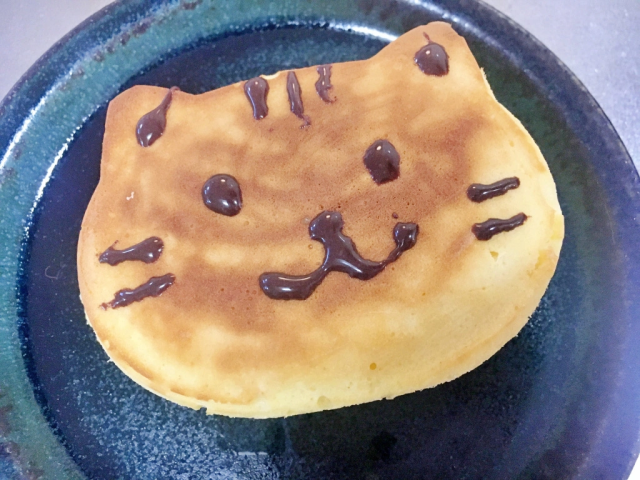 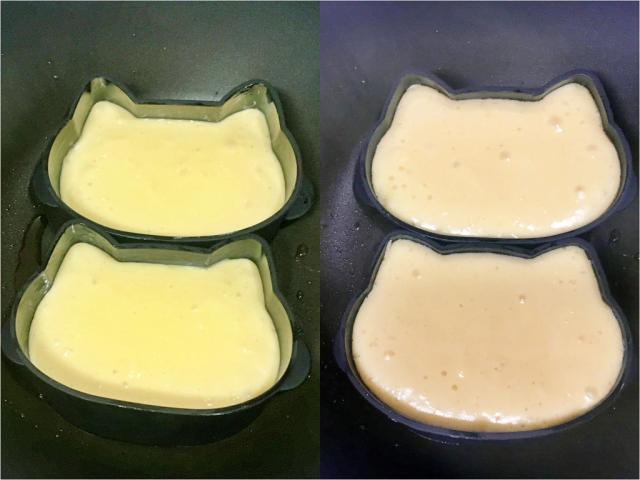 -- Japanese pancake artist offers new batch of amazingly edible pancake character art! 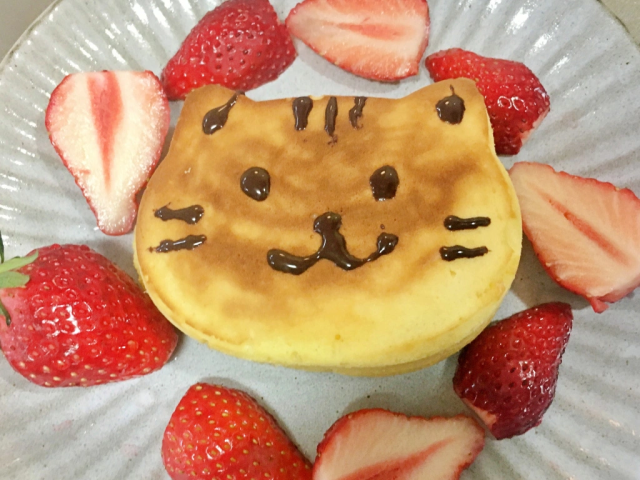 Our grandkids would love those!